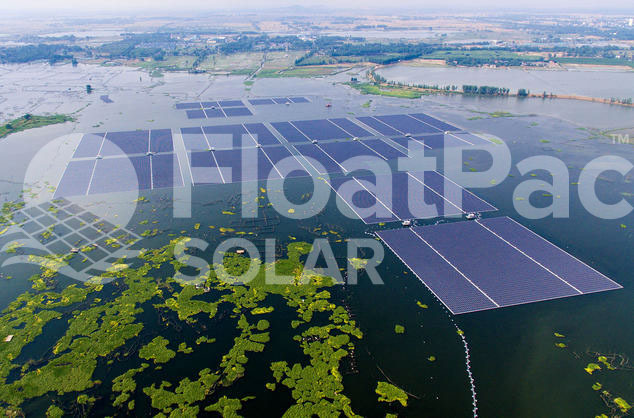 We are pleased to announce the release of FloatPac Solar – our very own, 100% Australian made, owned, and manufactured, floating solar solution for the positioning of solar arrays over water. OK, so we have kept this one to ourselves for a while now. Back in 2014, we were approached by a company in Sydney who wanted to work on the creation of an inflatable structure that could support solar panels over water to create floating solar farms. Given our experience in manufacturing inflatable marker buoys and lift bags for 35 odd years, we were very enthusiastic we could engineer a working solution to take to the market. We actually proceeded with this design a long way down the rabbit hole and had something that really appeared to be ‘on the money’. But when it came to specs around how to have the bags hold very low amounts of pressure and not pressurize or deflate due to atmospheric pressure changes, it became apparent that this idea was not going to work as the cost of maintaining such low pressures in these bags was (pardon the pun) going to blow the cost of the systems out of the water. 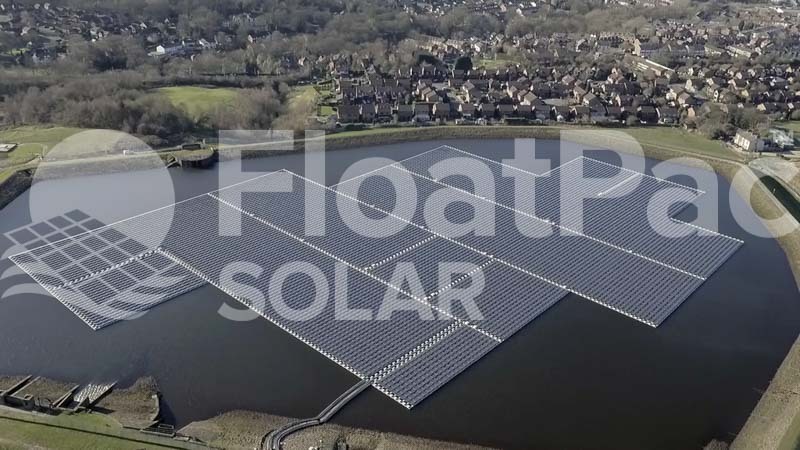 And so, we went back to the drawing board, with a keen interest in developing something, especially given the rise and rise of the floating solar industry that we were seeing as we continued to work on this. Or more specifically, enter our StackPac bin technology. When we bought StackPac to the live fish transport game 8 years ago, we developed some seriously impressive technologies (even if we do say so ourselves!). Apart from the requirements associated with live fish transport that is sustained by oxygen, on an aircraft, holding a tonne of water and fish, and all the structural and technical issues that surround that, we also developed the system to be stackable. The industry was used to 16 bins being returned in 20 ft containers. We took that, and changed 16 bins per container into 21 bins per container through our stackable design. This gave new shippers increased packing densities of almost 24%. In real terms, that meant basically, every fourth container of stock that our clients shipped back effectively became a free returned container versus shipping back the older style bins that were in the marketplace. 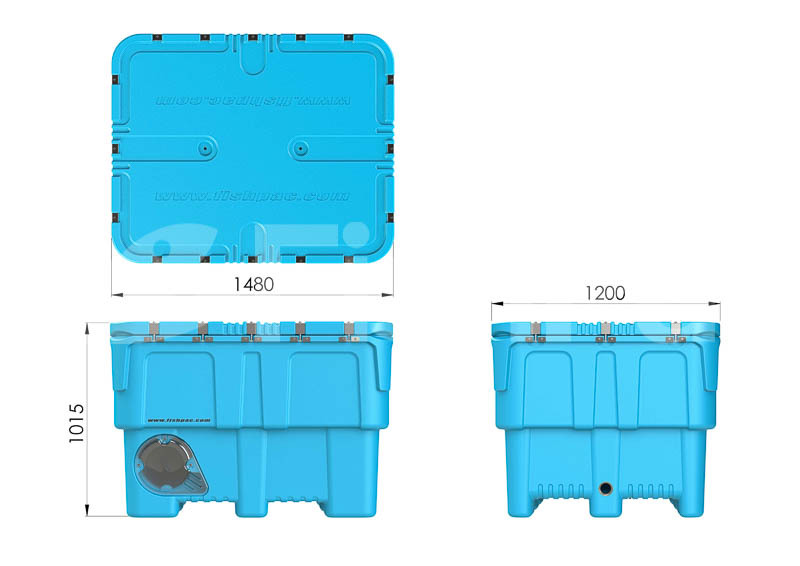 Considering some of our clients send 1000 shipments of live fish EVERY year, which meant they returned 63 x 20 ft. containers of empty bins to be reused every year, we have reduced this number of returned containers per annum to around 48 x 20 ft. containers every year. That alone is worth around $35,000 per annum in saved freight costs. StackPac went through some very serious engineering testing back in 2010 and 2011 to get CASA approval, and then also with the various airlines that transport FishPac bins around the globe. The molding process of StackPac has been honed to what it is today, and has been successfully shipping in over 40,000 bin shipments since it was devised. Concurrently, FloatPac understands flotation devices very well. Our business started back in 1983 manufacturing flotation and salvage devices for the Australian Navy, and since that time we have developed a significant presences in the worldwide salvage, lift and flotation device market with our product offering. And thus, we arrive at where we are today, which is with a totally new, innovative flotation device system for floating solar farms. Along the journey since 2014, we have learnt an awful lot. The market currently has 3 or 4 fairly serious players in it, and they have a very good product. But there are issues. 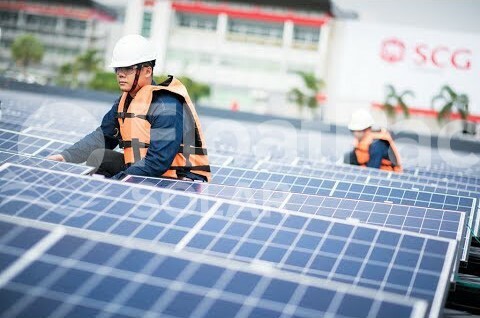 Apart from their price being considered expensive in the market place, and therefore making floating solar a not so great alternative to ground mounted solar from a price perspective, the way these products stack together means that there is A LOT of freight cost involved in the dispatch and delivery of large scale floating solar farms. Additionally, by manufacturing locally, and with the ability to position our products at the same prices as our competitors from the beginning, we are naturally going to be cheaper as we remove all importation costs and sea freight costs to local ports given everything is made here. We are working to partner with various Australian manufacturers to offer a completely Australian made product offering. This includes solar panels, inverters, cabling etc. Whatever we can source locally, that fits the requirements of the job and is acceptable from a price perspective, we will use. We are passionate about Australian made product, and as we move into one of the larger sectors that our business has ever entertained, we are serious about always working to increase the use of Australian made and owned products where ever we can. The board, management and all staff are very seriously excited by our new offering, and we cannot wait to really get into the renewable energy business with our exciting new product offering. We are aiming to have a project up and running in Victoria in the next 6 weeks or so, potentially or around 30kW of floating solar being installed on the Bellarine Peninsula. In the meantime, please do not hesitate to contact us with any queries or questions you may have, and you can also sign up to our newsletter below for email updates on all things FloatPac Solar. 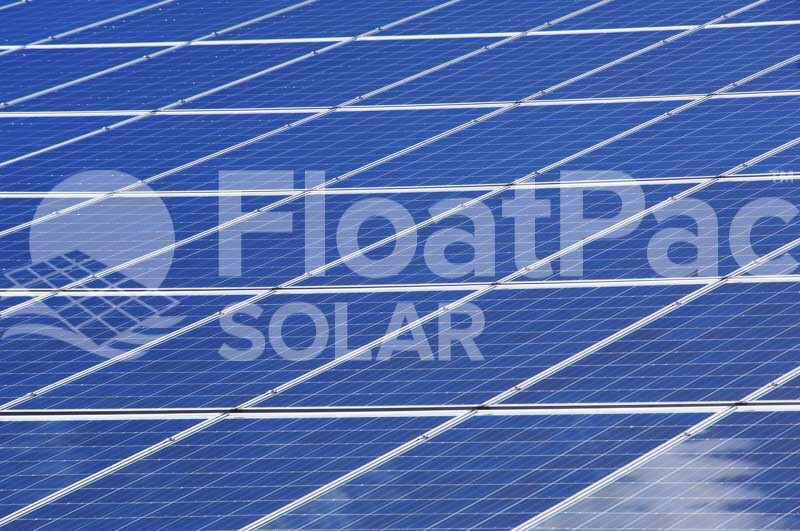 FloatPac Solar – The future is bright.